When Does My L Status Expire – L Visas based on Blanket L Petition | Minsky, McCormick & Hallagan, P.C. The L-1 visa is a non-immigrant work visa enabling U.S. companies to transfer employees from overseas subsidiaries to the U.S. There are two types of L-1 visas—an L-1A visa available to managers or executives, and an L-1B visa which is for workers with “specialized knowledge” of the company’s products, services, and ways of doing business. While companies can file “individual” L petitions with United States Citizenship and Immigration Services (USCIS) to transfer employees to work in the U.S., companies that frequently transfer employees from abroad may be able to take advantage of what is called a Blanket L petition. Filed with USCIS, a Blanket L petition pre-approves certain requirements for L-1 authorization. Initially granted for 3 years, a Blanket L petition is a quicker, less expensive and more efficient route for transferring overseas workers to the U.S. For example, with an approved Blanket L petition, employees abroad transferring to the U.S. can apply for an L-1 visa directly at a U.S. Consulate and receive immediate approval. This avoids the need for the U.S. employer to file an individual L petition in the U.S. which can take weeks or months to be adjudicated. L-1A visa holders can work in the U.S. for a total of seven years, and L-1B visa holders can work for a total of five years. The initial grant of work authorization for both visas is generally three years and can be renewed in two year increments. Problems arise, however, because after obtaining the Blanket L visa at the Consulate and subsequently entering the U.S., applicants often receive multiple and conflicting statements that address when their L-1 status will expire. Form I-129S expiration date. The I-129S is the Blanket L application form submitted by the transferring employee to the U.S. Consulate at the visa appointment. Upon approval, the immigration officer stamps the I-129S granting L-1 status and includes an L-1 expiration date—most often for 3 years. Petition Expiration date (PED). This date is located at the bottom right corner of the L-1 visa stamp in the passport. The PED date should be the same as the date granted by the Consulate on the I-129S application i.e., three years. In some cases, however, the PED may be less than three years. 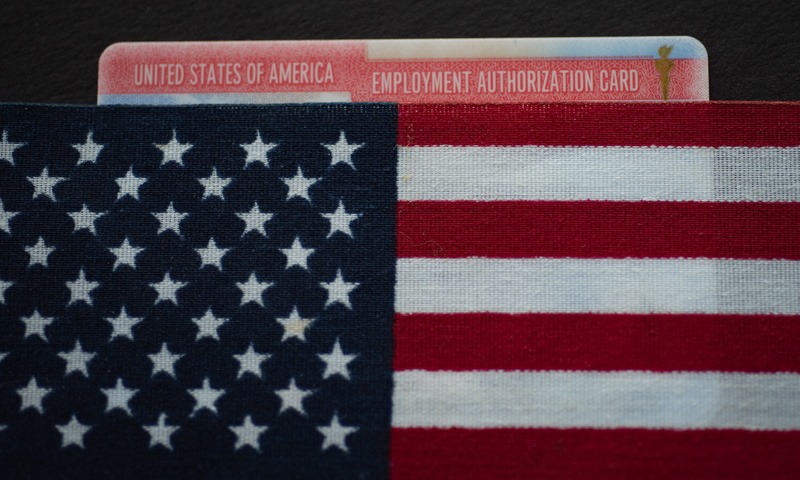 This can occur if the U.S. employer’s Blanket L petition expires before the three years which the L-1 visa applicant would normally be granted. In that case, the applicant’s PED date may be granted only until the date the employer’s Blanket L petition expires. Unfortunately, the expiration dates on all of these documents often vary, causing confusion about when an employee’s L-1 status expires and when the L-1 visa must be renewed. For example, the U.S. Consulate may approve an L-1 visa applicant’s I-129S application for three years. The PED on the l-1 visa could be for less than three years if the employer’s Blanket L petition expires before that date. Moreover, the L-1 visa travel expiration date is often granted for five years. The CBP I-94 expiration date, meanwhile, may be granted for any of the expiration dates appearing on the I-129S application or L-1 visa, but could also be granted for even less time if the L-1 visa holder’s passport expires before those dates. In that case, the L-1 visa holder will only be allowed to remain in the U.S. until the passport expiration date. If CBP admits an overseas employee into the U.S. in L-1 status and issues an I-94 “admit until” date that goes beyond the expiration date on the I-129S or PED, it is considered an error by CBP. In that case, the expiration date on the I-129S controls; the L-1 visa holder should not follow the I-94 expiration date, but should apply for an L-1 extension based on the I-129S expiration date. An I-94 “admit until” date that expires before the I-129s expiration date may also be a CBP error. The employee should request that CBP correct the I-94 so that it coincides with the I-129S expiration date as soon as the error is discovered. If CBP does not correct the error, the safest option is for the L visa worker to extend his or her L visa status prior to the I-94 expiration date. Keep in mind, however, that it is not an error if CBP only grants an I-94 expiration date until the date the applicant’s passport expires even if that date is before the I-129S expiration date. If the PED on the L-1 visa expires before the I-129S expiration date, this could be because the employer’s Blanket L petition approved by USCIS expires before three years of L-1 status usually granted to L-1 visa applicants. Blanket L petitions are initially granted for a maximum of three years and many individuals apply for their L-1 visas when there is substantially less than three years left on the employer’s Blanket L petition. If there is such a discrepancy, the expiration date on the I-129S rather than the PED should determine when the L-1 visa expires. The above are just three of the situations that can occur as a result of differing expiration dates involving Blanket L visas. Consequently, individuals on L-1 visas should make sure when returning to the U.S. from abroad that their I-94 “admit until” dates reflect the I-129S expiration date and ask to see a supervisor if it does not. This article is limited to expirations related to L visas based on a company’s Blanket L. Different rules may apply for those applying for an individual L visa in the U.S. and for Canadians applying for the L visa at the border. If you have any questions about the L visa process, please contact the attorneys at MMH for assistance.